Try not to be blown away by the beauty of that picture, okay? I saw bottled simple syrup for sale the other day for a kind of ridiculous price and I was kind of horrified. Its name is no accident, folks; this stuff is crazy easy to make. I store mine in a Wilton squeeze bottle, but any bottle or jar will work just fine. Now you’re all set to make key lime amaretto sours! Iced coffee! Key lime margaritas! The possibilities are endless. Oh, that photo is AMAZING!! LOL!!! 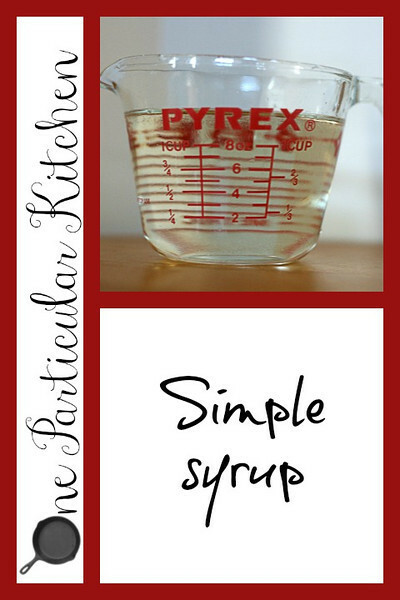 I love the magic of simple syrup and will never understand why anyone would buy a bottle of it when it’s so easy to make at home. I use simple syrups for my iced tea. Seriously? You saw simple syrup for sale? That is just crazy. We keep a bottle in the fridge for Sazeracs and Whiskey Sours and other alcoholic beverages, but using it for iced coffee is a great idea! Isn’t that crazy? I’m not positive where it was, now, but I think W-S.
Great tips! I never thought to microwave it!